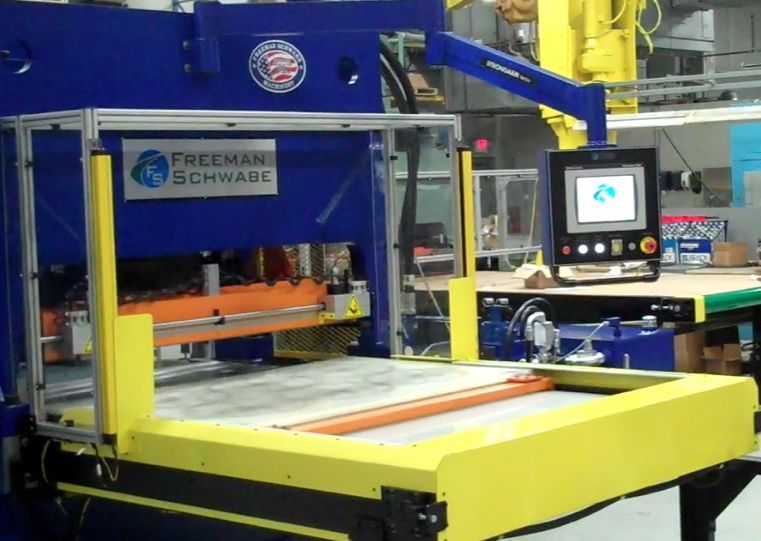 Check out the new Schwabe Straight Ram Press with powered tables. designed for traditional “blade down” cutting or inverted “blade up” cutting. can accommodate dies weighing up to 1,000 lbs. This entry was posted in Schwabe Presses, Schwabe SR series with powered tables, Uncategorized and tagged powered tables, schwabe presses. Bookmark the permalink.